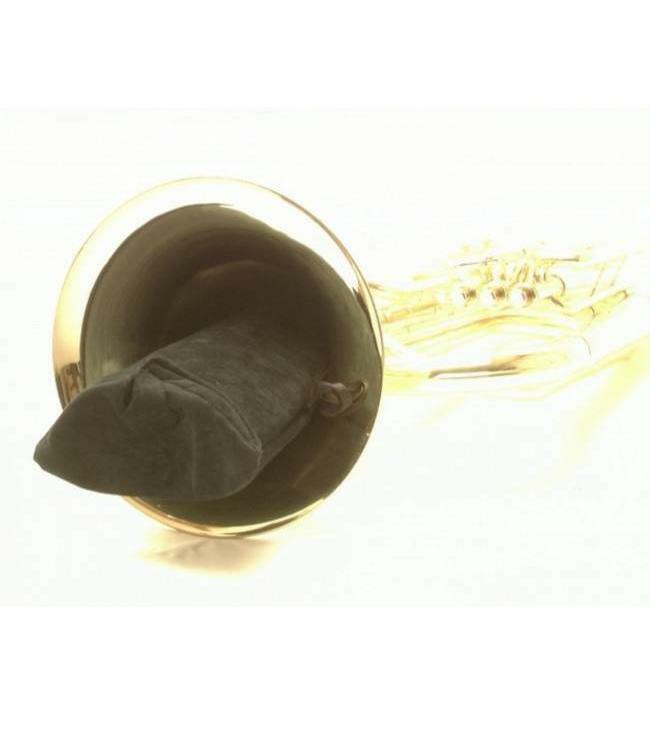 Handy Tuba Rest Carry Pouch has been specially designed to carry Tuba Rest inside bell of instrument. The soft, black velveteen pouch is lined with protective foam padding and is secured with velcro closures. Flat nylon webbed handle is sewn onto pouch so can also be carried by hand.